Practice self-love by making yourself avocado toast with beet hummus. Are you tired of avocado toast yet? Neither are we. Especially when it’s slathered with protein-rich hummus and gorgeously arranged avocado slices. The hummus in this recipe gets its stunning color and a bit of sweetness from the addition of roasted red beets. The best thing about this toast is that it has a great balance of heart-healthy fats from the avocado and fiber and vegetable protein from the chickpeas. One serving has 342 calories, 18 grams of total fat, two grams of saturated fat and 10 grams of protein. 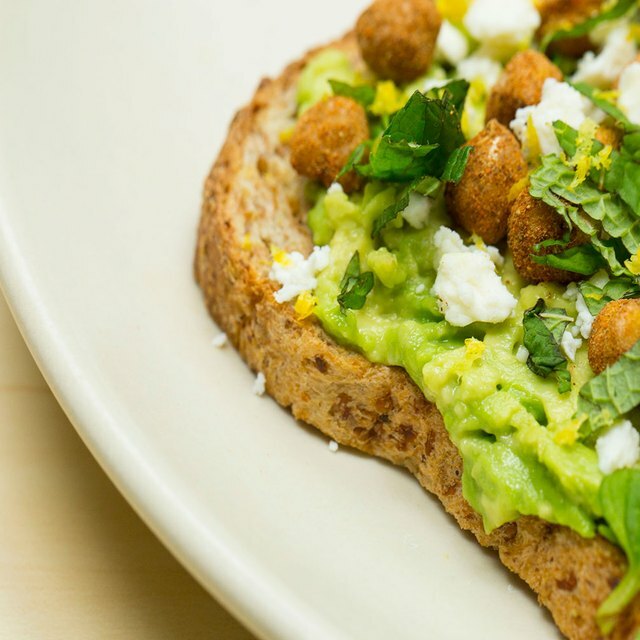 You can style this toast to your heart’s desire, whether that means fanning out the avocado slices into a heart or garnishing the toast with crunchy roasted chickpeas. Just remember: Do you and make it delicious.